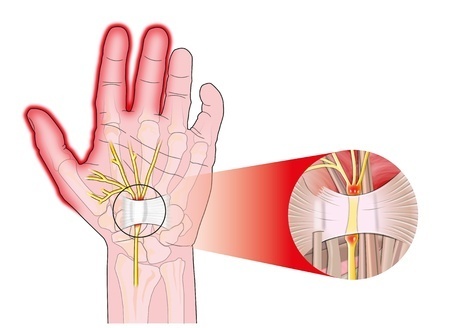 Carpal tunnel syndrome is a condition that occurs when your median nerve, which travels from the palm of your hand down to your arm, is under pressure or squeezing at the wrist. This nerve is responsible for controlling sensations traveling to the thumb and most of your fingers. It also helps you to control movement in your digits. 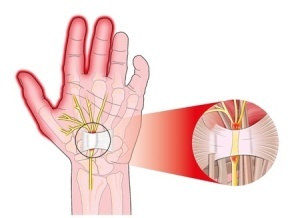 However, if the median nerve becomes compressed, this can affect how it functions. As a result, sufferers may experience weakness or numbness in their hand. It may even be painful and have an adverse impact on your life. Anyone who uses their hands for repetitive tasks, such as typing every day or working with machinery, is at risk. However, if you’ve suffered an injury to the area, this could cause Carpal Tunnel syndrome to develop too. Women are three times more likely than men to experience this condition. It’s not known exactly why, but it’s thought that it’s because the median nerve is smaller in women than it is in men. People with diabetes are also at higher risk. How Can You Tell if You’ve Got Carpal Tunnel Syndrome? Symptoms generally develop slowly. Initially, you may notice numbness in your palm and digits, in particular, the index and middle fingers. As the condition worsens, you may feel like your hand is becoming weaker. Some people even comment that their hand feels swollen, even though there is no visible sign of swelling. Symptoms often initially appear at night, and you may experience a strong desire to ‘shake the hand out’ to alleviate the sensations. If left untreated, carpal tunnel syndrome can cause the muscles at the base of the thumb to degenerate. Thankfully, there are treatments available if you’re suffering from carpal tunnel syndrome. Non-surgical treatments include medication and specific exercises, and there are also surgical solutions for those with more extreme symptoms. If you’re suffering from carpal tunnel syndrome and you’d like to find out more about the treatment available to you, simply get in touch with Neurospinal Associates today at 941-794-3118. What are the Signs of Spinal Meningitis? How is a Herniated Spinal Disk Treated? How Can I Tell if I am Having a Stroke?